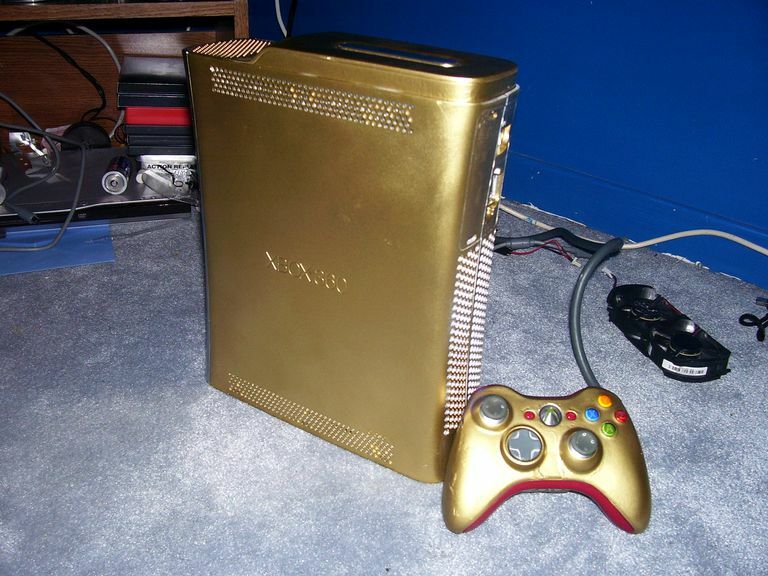 How Can I Customize My Xbox 360 and Xbox One? You can change the physical look of your 360 by purchasing new faceplates that snap onto the front of the system. There are a number of faceplates available, but you can also custom paint one yourself which truly makes it your own. Faceplates will run you around $20 or less. Note: Only the original "Fat" Xbox 360 has removable faceplates. The "Slim" version produced from 2010 onward and the Xbox 360 E introduced in 2013 do not have faceplates and can't be customized. You can also customize the look of the Xbox 360 dashboard software by using your own pictures as backgrounds. You can import pictures in a few different ways - attaching a digital camera to the 360 via the USB ports, burning photos to a CD, connecting to a Media Center PC, or using any kind of other USB storage device. My personal favorite method is to use a Sony PSP. The backgrounds for the PSP are already in widescreen format and look pretty decent even when blown up to TV size. Xbox One doesn't have removable faceplates, but it does allow you to create your own custom dashboard backgrounds by using achievement images or even screenshots of games you've taken. There are also vinyl stickers available for both Xbox 360 and Xbox One that cover the entire system in a new "skin" with any number of possible designs, but we don't really recommend them. They can be tricky to put on (and a pain to remove) and we're not crazy about putting anything on the outside of a system, particularly the Xbox 360, that might restrict air flow or even reflect heat back into the system. Another option is to buy a special edition version of the system. For Xbox 360 there have been Halo 3, Halo 4, various Call of Duty, Gears of War 3, Kinect Star Wars, and many other specially designed systems that usually look pretty great. Xbox One has also had special systems for Forza 6, CoD: Advanced Warfare, Halo 5 Guardians, and more. What Is the Halo 3 Special Edition Xbox 360 System?